Almost immediately after Amazon took over Whole Foods, it began to slash prices in the grocery store, and customers rejoiced. No longer would Whole Foods be playfully referred to as “Whole Paycheck,” by shoppers astounded at the high price tags. Organic eggs, avocado, even salmon were suddenly affordable—and customers began flocking back to Whole Foods to take advantage of the nearly minted deals. Business Insider reports that after the lower prices—as much as 43 percent lower for some products—went into effect, Whole Foods saw a 25 percent increase in customers. Foursquare Labs Inc. studied Whole Foods in the two days after Amazon finalized its acquisition of the company for $13.7 billion, using location information from shoppers' mobile devices to gather their data. In some cities, like Chicago, the increase was even greater, where Whole Foods saw a 35 percent increase in shoppers. Amazon has had success selling Whole Foods products online, as well: In only the first week of 2,000 Whole Foods brand 365 products becoming available on Amazon, sales totaled $500,000. But will Amazon keep scoring wins like this? As grocery store chains like Aldi launch online grocery delivery, and mega-corporations like Walmart introduce more and more organic food into their stores, Amazon may soon find itself facing more competition, especially since, as Business Insider points out, prices at the Whole Foods locations in New York City are still higher than at places like Wal-Mart and Kroger. The slew of new customers in the early stages of the acquisition could have been due in part to curiosity spurned on by frenzied media coverage of the buyout, but for now, it's hard to tell if the number of Whole Foods customers will continue to increase. 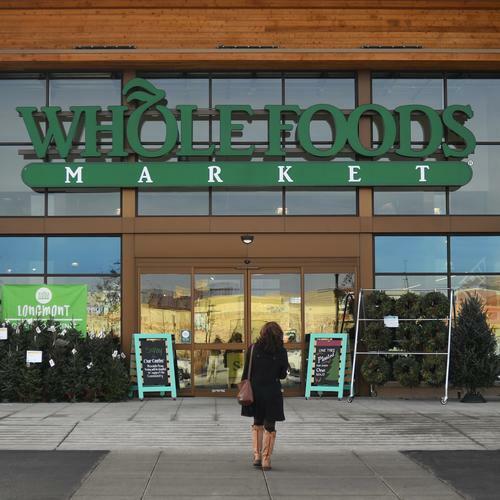 Still, while we have yet to see Amazon opening its own brick and mortar grocery stores, outside of Seattle at least, its success at Whole Foods may mean the company is moving in that direction.